#BeenToTheMovies: Star Wars: The Last Jedi - Poster and Trailer - Arriving in your galaxy December 15. 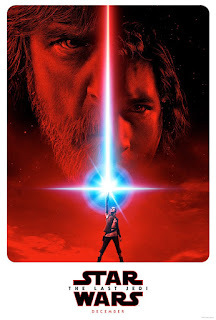 Star Wars: The Last Jedi - Poster and Trailer - Arriving in your galaxy December 15. Disney has finally released the first trailer for Star Wars: The Last Jedi, the eighth movie in the main franchise.